Where to go Kitesurfing in Colombia? Let us show you! With our expert, local, English speaking guides (who also happen to be Kitesurfing enthusiasts too), we can show you the hidden Colombia – and that includes what we think are the world’s most secret and most perfect Kitesurfing locations. Take the Kitesurfing tour of a lifetime with us right here in Colombia and discover why Colombia is our favourite place to Kitesurf! Why is Kitesurfing in Colombia the Perfect Combination? The conditions here in Colombia are absolutely perfect for Kitesurfing at any time of year. Due to our weather we don’t really see seasons like other places in the world. Our weather is quite consistent all year long, usually with winds perfect for Kitesurfing and this means that whatever time of year you choose to experience breathtaking Colombia, Kitesurfing can be top of your agenda! Kitesurfing is an extreme, adrenaline fuelled sport and we LOVE it! If you’ve ever tried and enjoyed wakeboarding, surfboarding, mountain boarding, skateboarding, power kiting, snowboarding or paragliding then we know you will really enjoy Kitesurfing in Colombia too. Kitesurfing is a really great workout, so takes a decent level of fitness and balance to be able to make the most of it, but almost everyone can really give it a go. Joining one of our Kitesurfing tours in Colombia you have the unique benefit that our local English speaking guide is also a Kitesurfing enthusiast and is ready to share her experience with you. If you’re looking to make the most of this sport while on your trip there is no better person to share your passion with! Have you ever tried Kitesurfing before? No? Not a problem!! You don’t ever need to have tried Kitesurfing before your trip because right here in Colombia we have links with some excellent Kitesurfing schools. So, you really can learn to Kitesurf in Colombia and go home feeling like a pro! 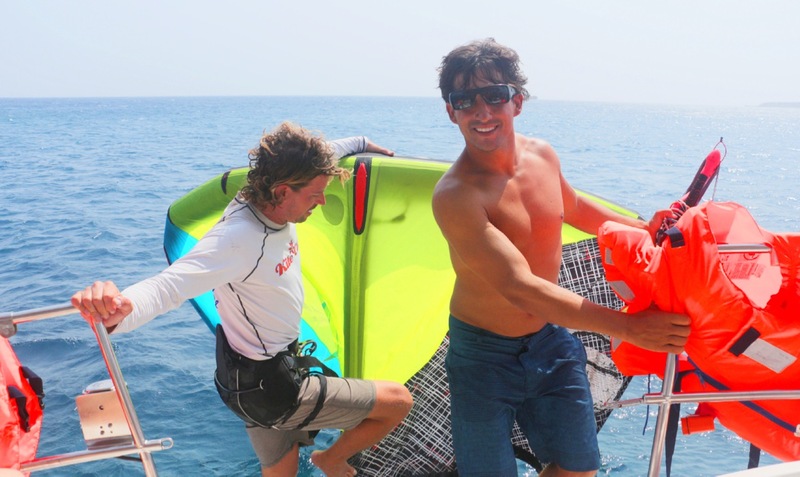 Are you already an experienced Kitesurfer and LOVE your sport? Excellent!! You will really get on with our local English speaking guide, Laura, who love’s Kitesurfing too. Laura will show you some of the best, secret spots that get the best winds and the fewest visitors, meaning you’re free to Kitesurf in some of the most stunning places in Colombia, away from the crowds. And if you’re looking to progress your Kitesurfing skills, we can arrange this for you too. Our recommended Kitesurfing schools are adept at helping people of all skill levels to improve their techniques and get even more enjoyment out of their sport. Contact us today to talk about our Kitesurfing tours and see how we can tailor make the experience around you.